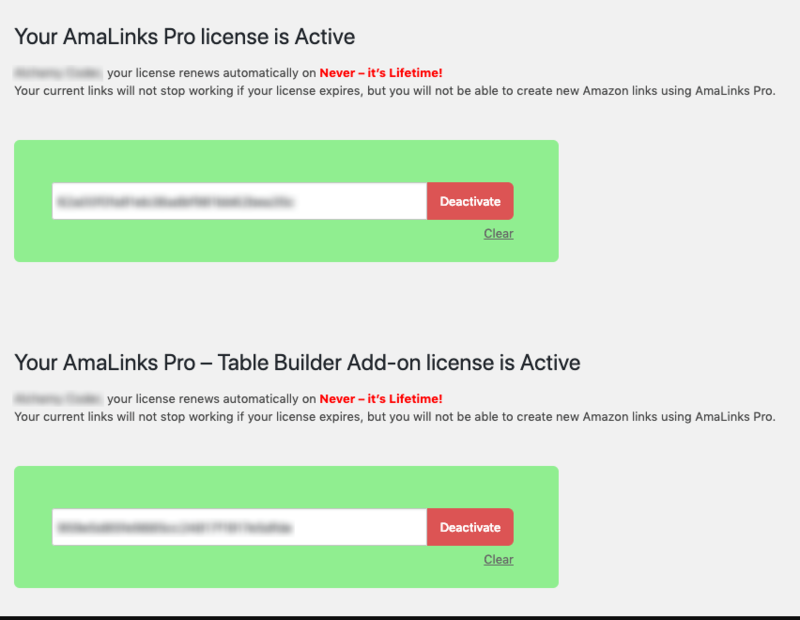 Here are some quick tutorials to help you get started with the Table Builder Add-on for AmaLinks Pro. IF you purchased a plan that includes the Table Builder Add-on – you must insert and activate a separate license key. You can find that license key in the receipt email that you received at time of purchase or on your account page. The image below shows the two different places for inserting the separate license keys. Just click on the AmaLinks Pro link in your WordPress menu to access this page. You MUST save your table before inserting into your WordPress Post or Page. 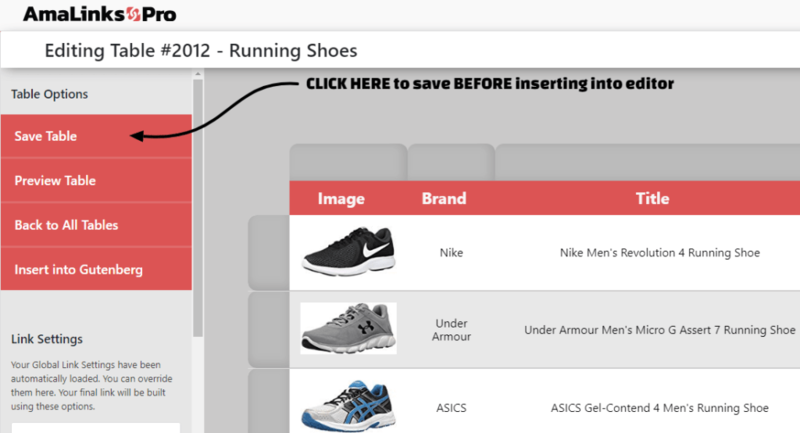 Also – be sure to click the Save Table button any time you make any changes or edits.